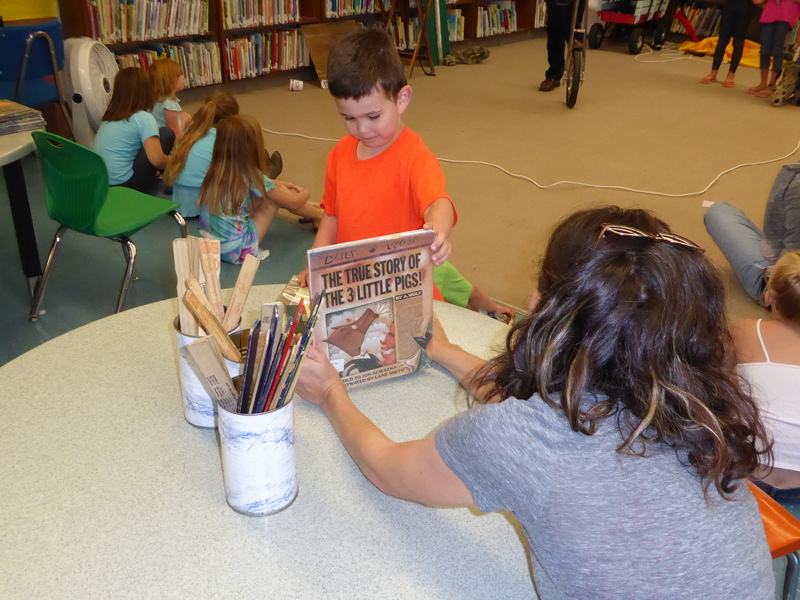 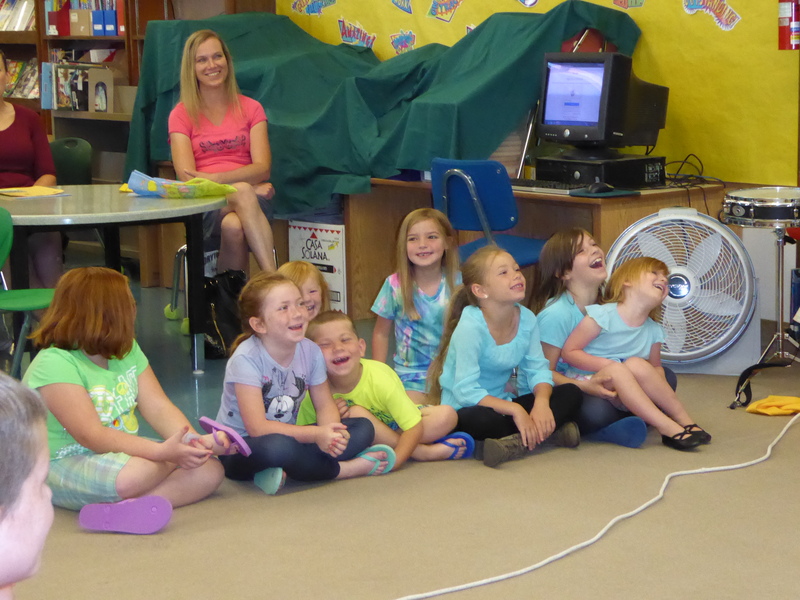 Today was the first day of the summer reading program at Clover Ridge Elementary School. 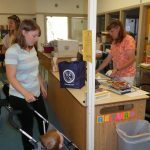 To combat summer learning loss from the extended academic break, the school is opening its doors to its students every Wednesday. 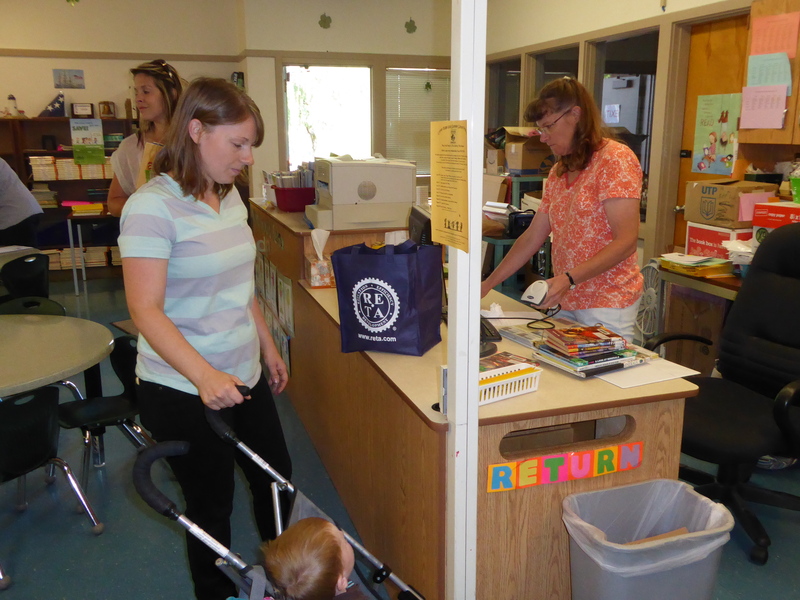 Students will have an opportunity to check out books and participate in reading incentives. 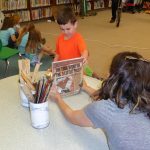 This summer the theme is, “On Your Mark, Get Set, Read.” Each week features a special program or guest as part of that theme. 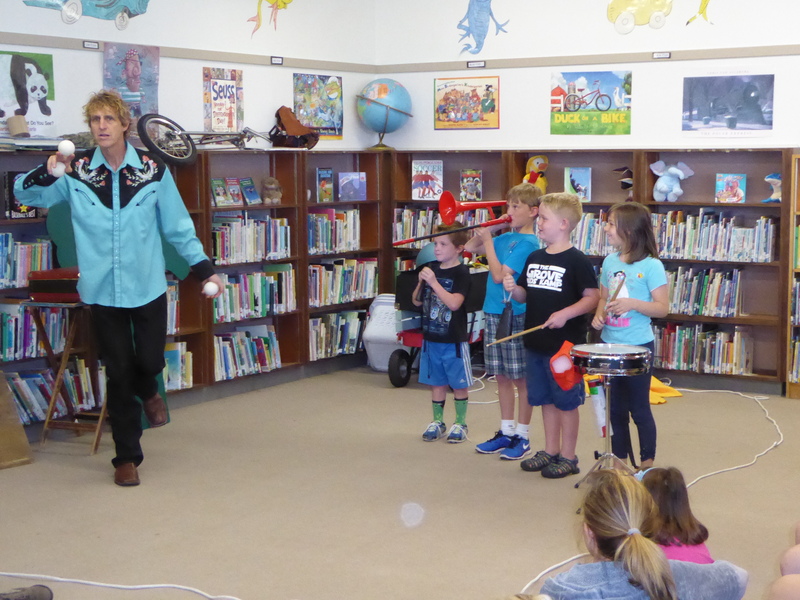 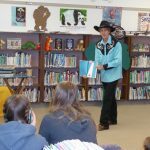 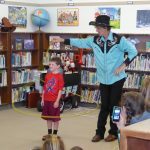 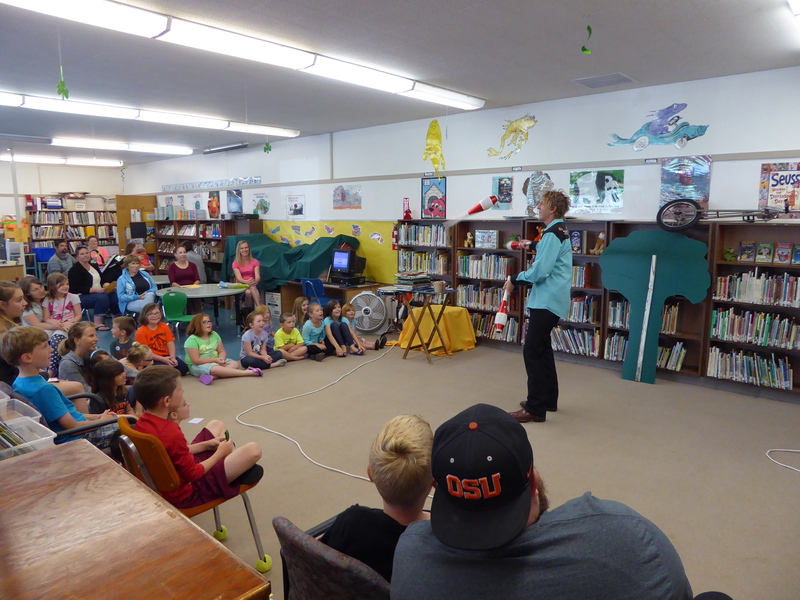 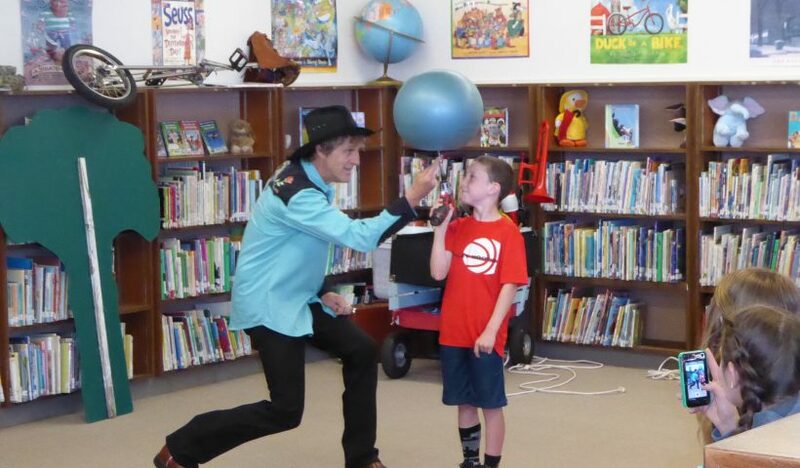 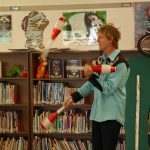 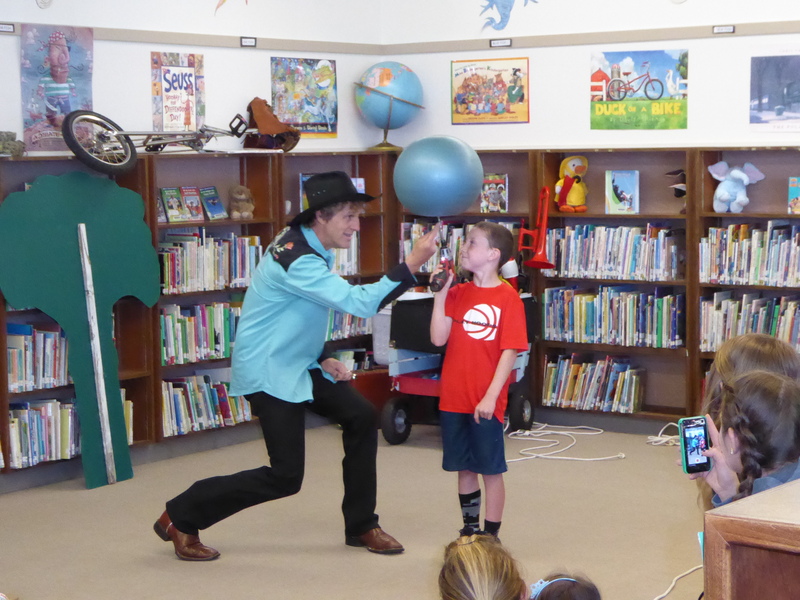 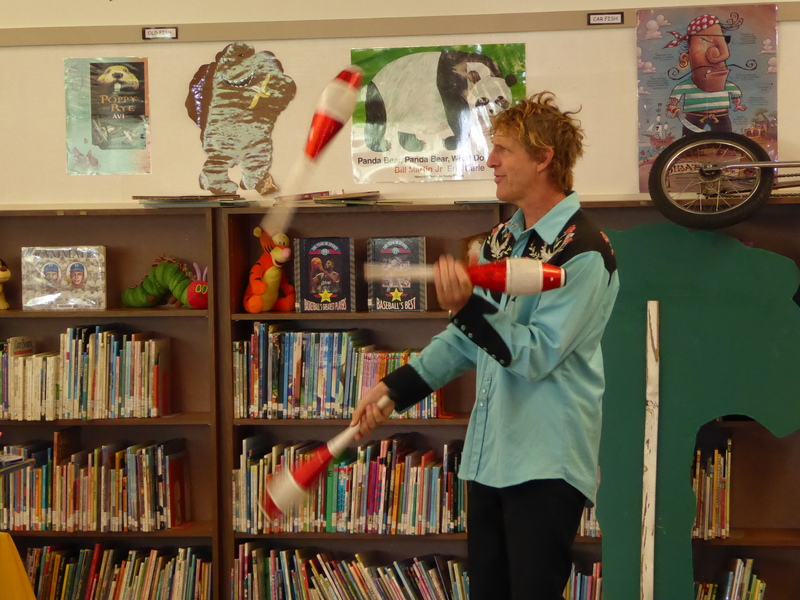 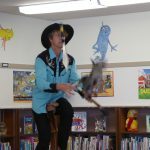 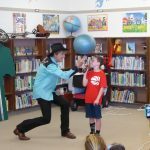 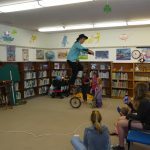 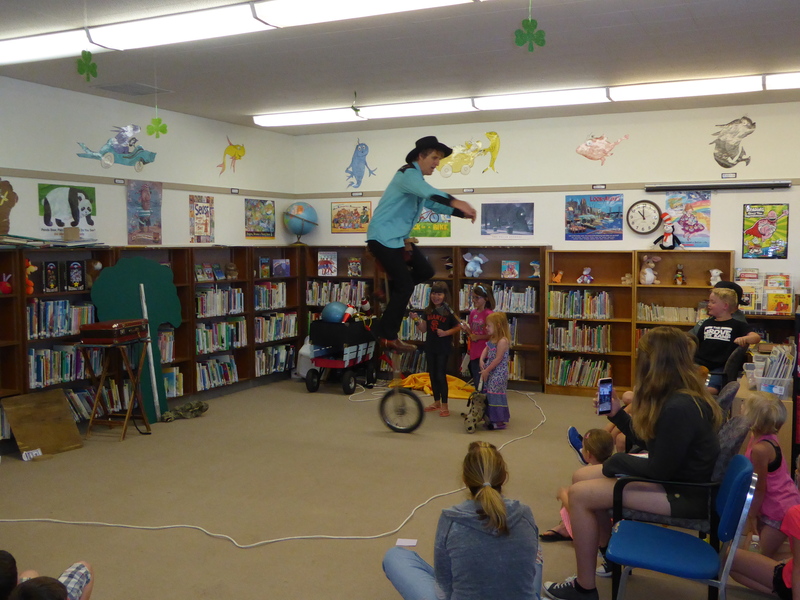 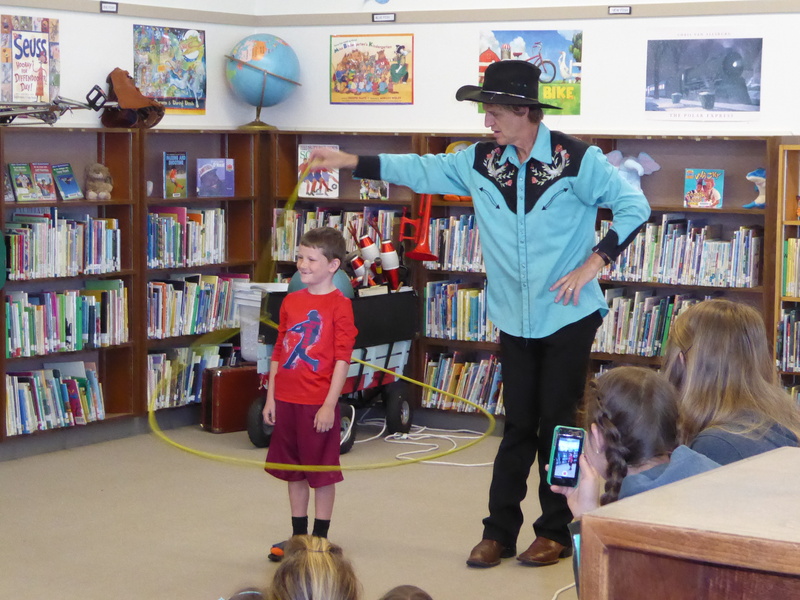 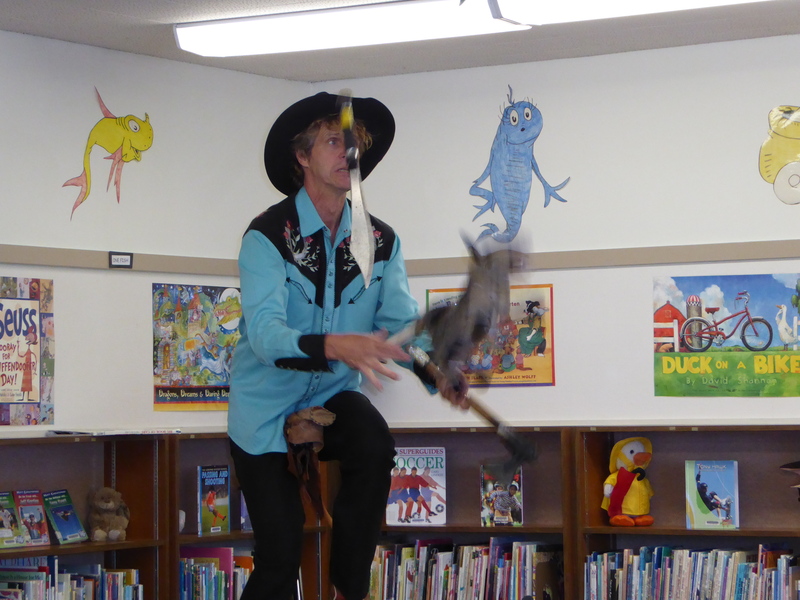 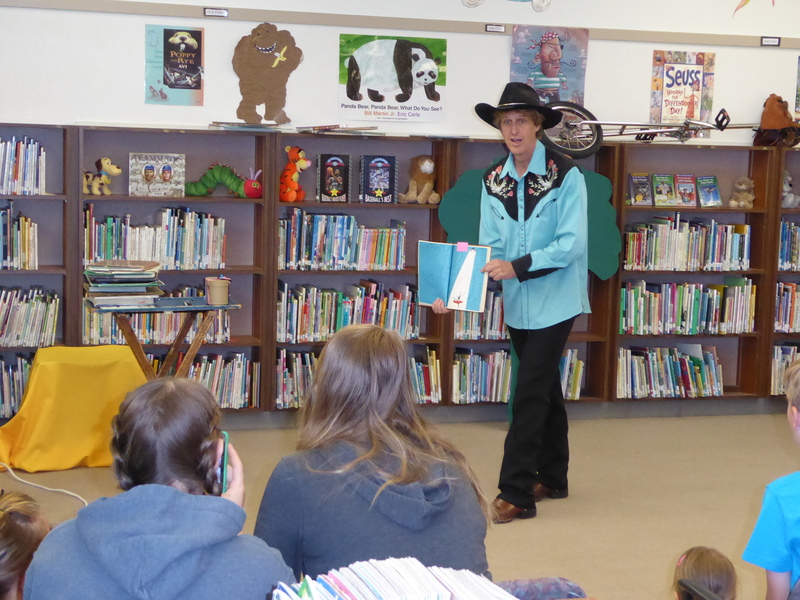 Today, children’s entertainer Leapin’ Louie brought his juggling, roping and unicycle skills to the library. 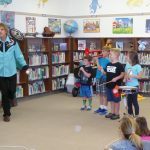 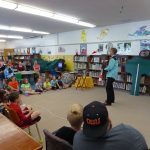 The next program is on July 6 and will feature jump roping by Mrs. Miller. 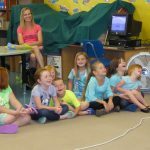 See the entire summer schedule in the Democrat-Herald.